The photo was posted on the parody Twitter page, King Carlos II, devoted to poking fun at Miami-Dade County Mayor, Carolos Gimenez. 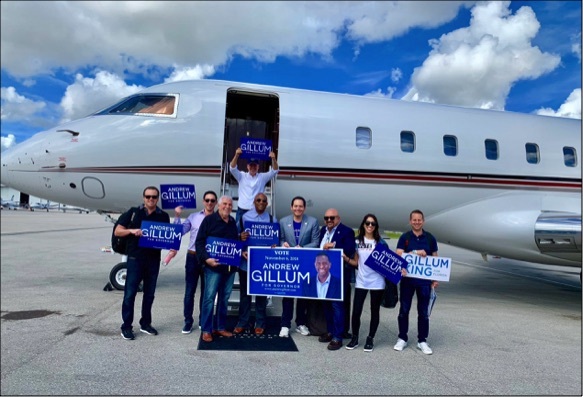 The photo shows a group of deep pocket democratic players, including former Miami Beach Mayor Philip Levine, attorney and fund raiser Chris Korge, and attorney/lobbyist Alexander Heckler. 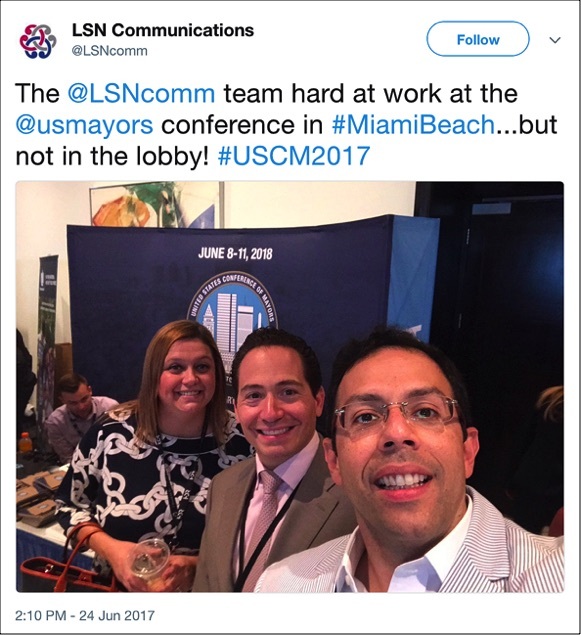 I've written about Heckler in the past because of his relationship with Carlos Gimenez - he was one of the lobbyists that went to China with Gimenez earlier this year - and more importantly because one of the partners in his law firm used to be Chief of Staff to Miami Mayor Francis Suarez when he was a commissioner. 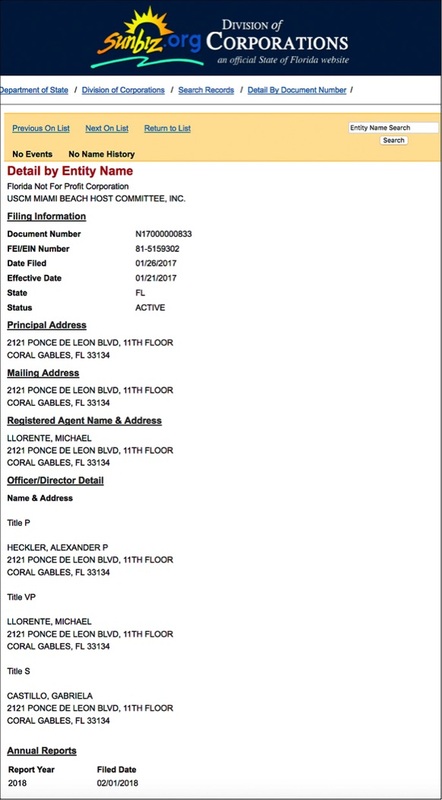 Michael Llorente moved on to join his brother Marcelo and Heckler at the law firm Heckler and Llorente, and Jesse Manzano, a partner in their lobbying firm LSN Partners, was both Carlos Gimenez's and Francis Suarez's campaign manager. Manzano also managed Suarez's disastrous campaign to become Strong Mayor. My interest in Heckler, besides the relationships between the Llorente brothers and Suarez, was based on a discovery that I made earlier this year pursuing the ethic's commission's website about a mysterious ethic's complaint that had been lodged against him. 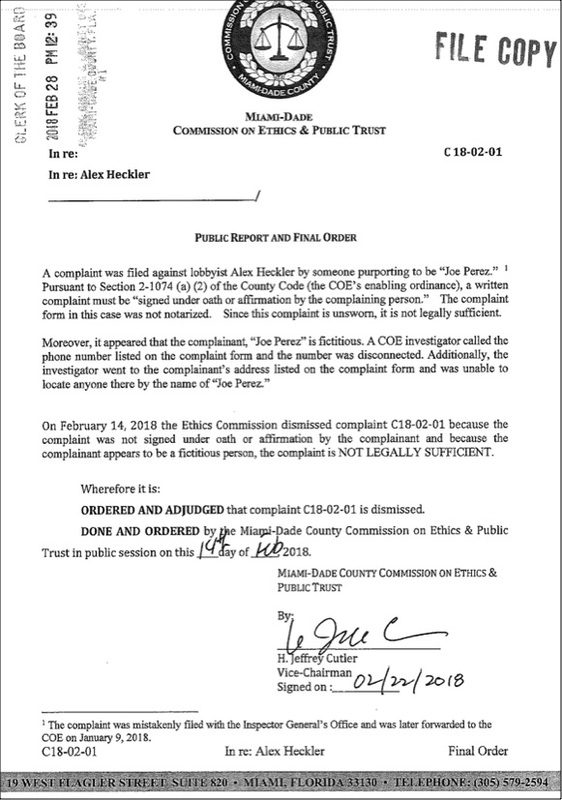 The complaint had initially been filed with the County's Inspector General, and then forwarded to the Ethic's Commission. The quality of the document is not great, and some of the allegations are not even considered news anymore - inside the ballpark, everyone knows how lobbyist's structure their deals so as to collect ongoing payments for the life of a successful contract with a government agency - but one item that caught my eye was the allegation that Heckler and his partners had formed a Host Committee to promote the annual meeting of the National Association of Mayors that met on Miami Beach in 2017. SAY WHAT? 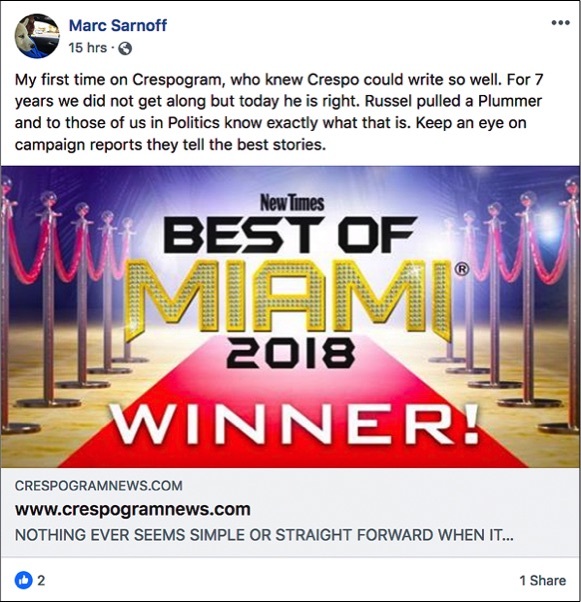 MARC SARNOFF NOT ONLY SAYS I WRITE WELL - IF I DO, I OWE IT TO ALL THE PRACTICE I GOT WRITING ABOUT HIM - BUT THAT I'M ALSO RIGHT? IS THIS A SIGN THAT THE APOCALYPSE IS NIGH? Erin Hendricks, Alexander Heckler and Jesse Manzano show up on Twitter. Most importantly for me was the Guidestar website where it was stated in unequivocal language that this group was subject to the IRS requirements to filed a Form 990 tax return. 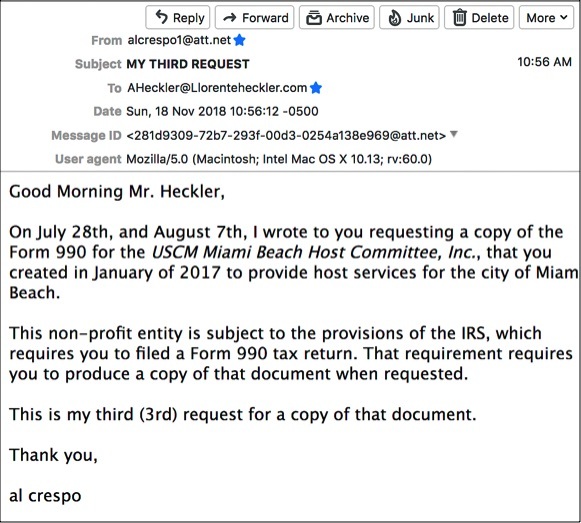 This, plus seeing Heckler going to Tallahassee with Phil Levine reminded me that Heckler had not responded to my previous requests for a copy of the Host Committee's IRS Form 990. As for the ethic's complaint, here's what happened to it. Good thing that there's no requirement that folks who want to report "real" crimes don't have to "notarize" them, or we'd all be in trouble. 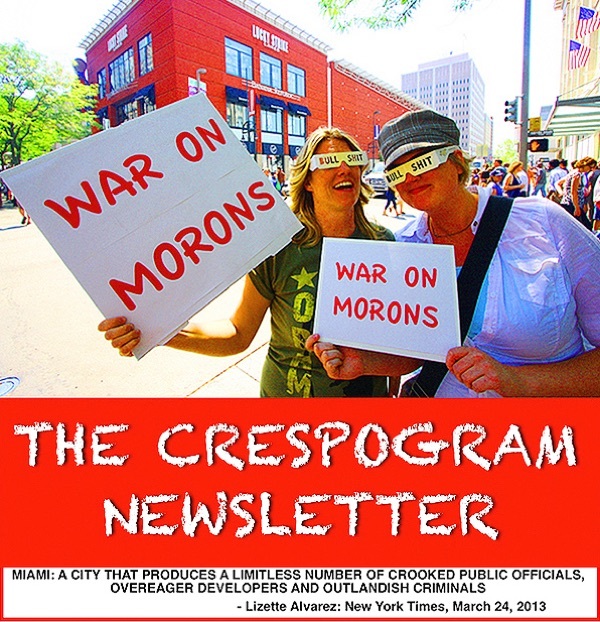 Contrary to the breathless gushing of multi-cultural worshipers, Miami is not a melting pot. It's in many ways a Balkanized Latin city, driven by and large by a dominant Cuban political class that many Angelos have little if any clue as to how pervasively they shape and control the political life of this community. 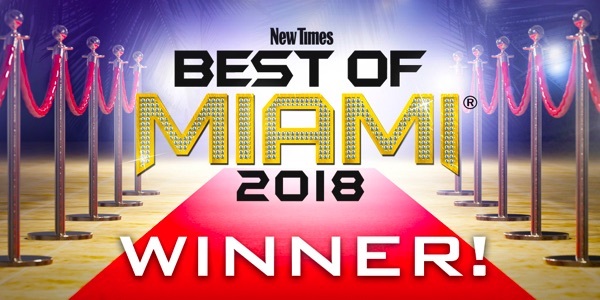 Below are two 15 second TV Ads that Miami City Commissioner Joe Carollo's ECO ran against Francis Suarez and his efforts to become Strong Mayor. Both were narrated in Spanish, and neither was shown on a Gringo TV station, and all things considered, one could argue, and Carollo certainly would that these ads played a significant part in Suarez's loss.